High performance plastics require precision and accuracy in all phases of production. Even the slightest deviation from the prescribed ratio of materials leads to products that are unusable and thus further leads to huge overhead expenses. Gravimetric Blending Units solve this problem by automatically weighing multiple components to produce the exact blend of materials necessary to create a high-quality product every time with consistency. A Gravimetric Blending Unit is essential to get the most out of blow moulding, plastics extrusion, and injection molding processes. 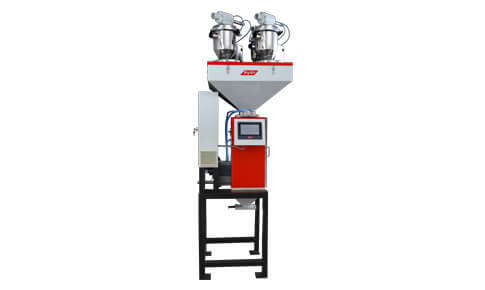 Industrial Blender (Gravimetric Blending Unit) can be deployed in a variety of ways depending on the type of manufacturing process. Most can be mounted directly on other machines in order to create a seamless production process. Also, Loaders are often a desirable peripheral for blenders in order to facilitate the loading process and avoid human error or injury. In any industrial plastics environment, gravimetric blenders are an absolutely essential component of the production process. Their efficiency and easy use facilitate production without rejection, reduce human error and injury, and saves material. 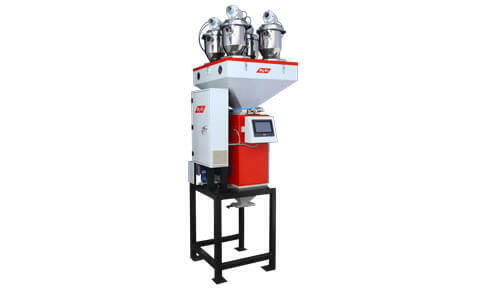 Bry-Air’s Gravimetric Blending Units ensures proper mixing of additives and colours of the pellets or blends hence reducing rejections. The Unit helps in providing the extruder /moulder with the most accurate solution of colours and blend of pellets, resins and master batches with consistency. The Units can be used as a centralised stand-alone system or it can be machine mounted. The throughput ranges from 6.8 kg/hr to more than 2268 kg/hr. All models dispense and blend all materials (in granular form) for continuous and unfailing accuracy.